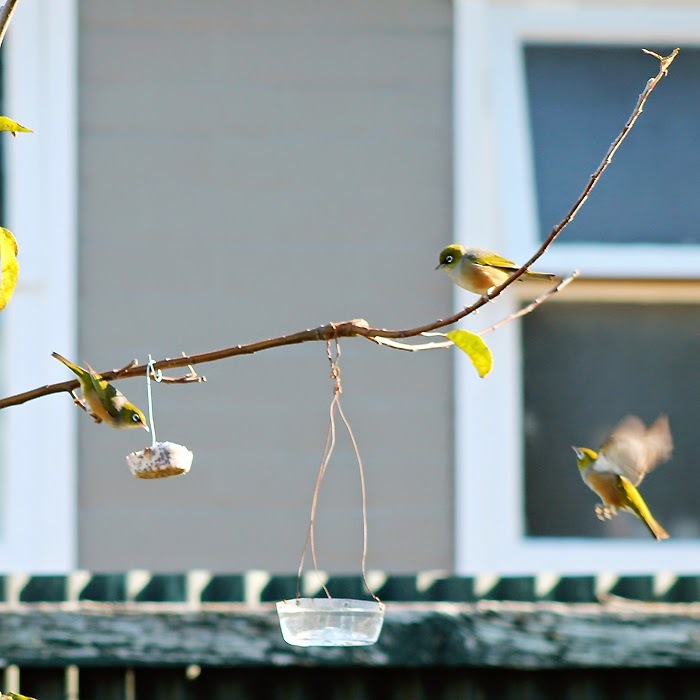 One of my favourite things about winter is feeding the birds. I love seeing little flocks of waxeyes and finches flitting around and chatting to each other while they eat. I have two feeders in the garden, but now that we have bigger kitchen windows I wanted to be able to feed them right outside. 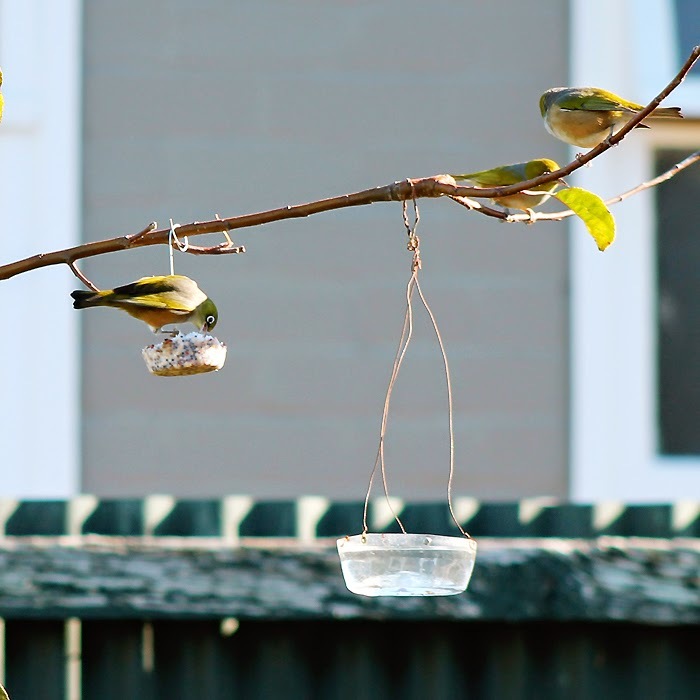 My little apple tree was in the perfect spot, but it's branches aren't strong enough to hold a feeding tray... so I came up with an easy way to make hanging birdseed cakes. 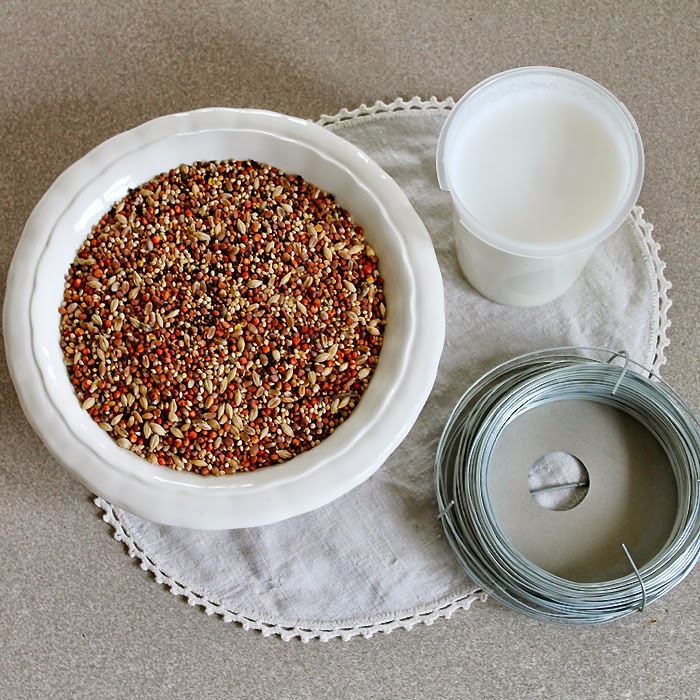 I've posted about my birdseed cakes before, and I usually make a batch of them and put them in my other tray feeders. It's so easy though just to add a wire hanger and then you can put them anywhere. You just need birdseed, fat or dripping, some wire to bend and some pliers to bend it with, silicone muffin trays and a large microwaveable jug. First cut 12 lengths of wire about 30 cm long. The wire just needs to be thick enough to hold its shape when there is a bit of weight hanging from it. 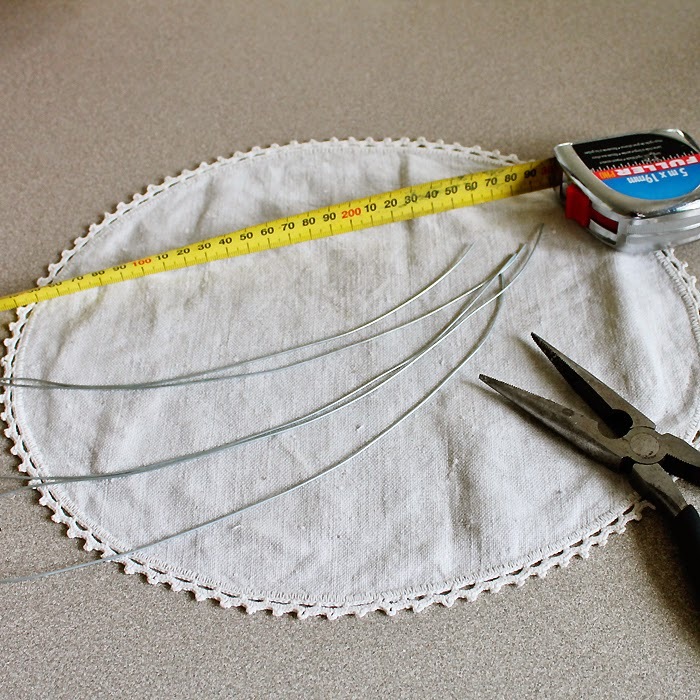 Bend the wire into a rough spiral shape with a hooked end. 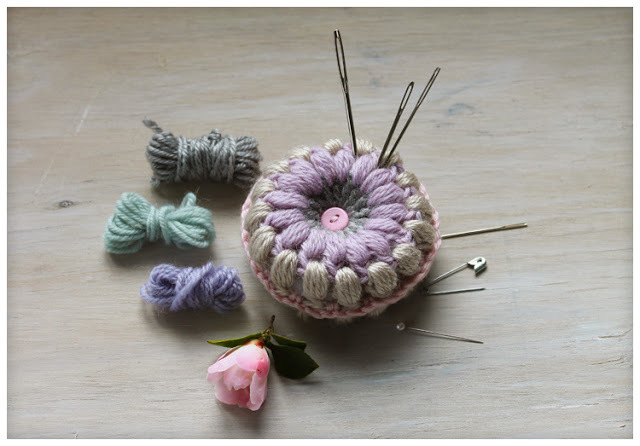 The spiral just needs to be small enough to fit in your muffin pans. Melt the dripping in the microwave and then add the birdseed. 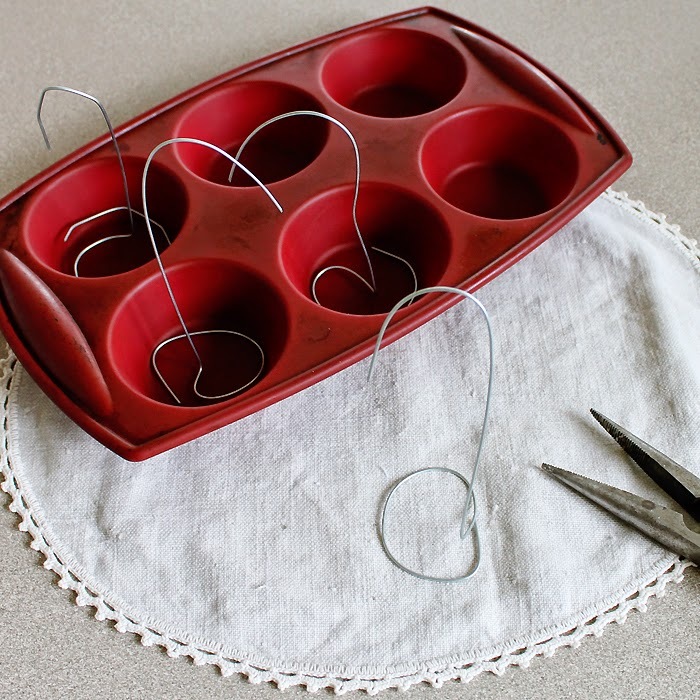 Spoon or pour it into the muffin trays over the wire. 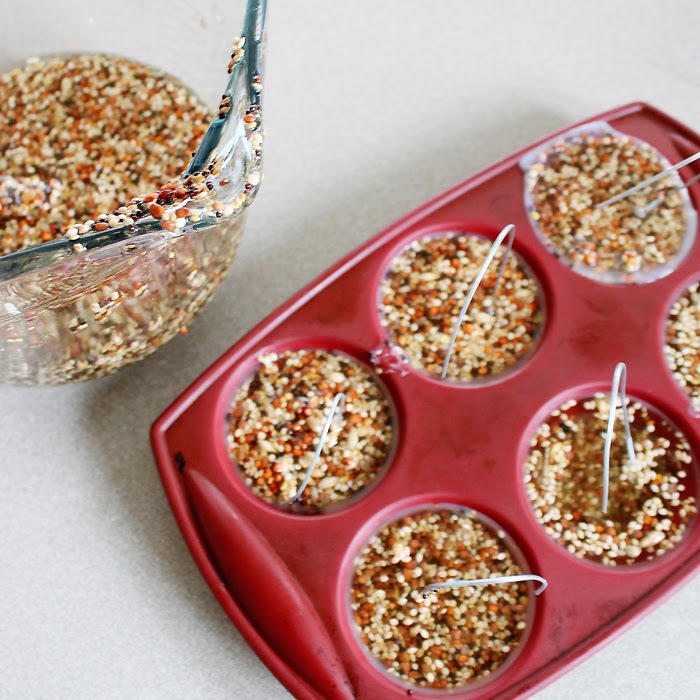 Put the trays into the freezer for about half an hour, then just pop the birdseed cakes out. If you have too much birdseed mixture for your trays you can just remelt it and do another batch when the first one is done. 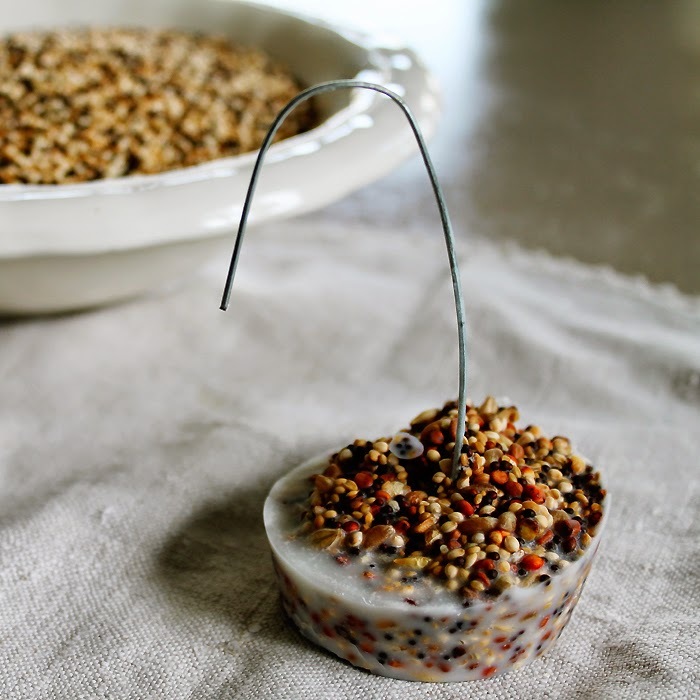 Keep birdseed cakes in your freezer, or go crazy and decorate a whole tree! Good idea Ruth! I will try to do the same cakes for little birds in winter as well! 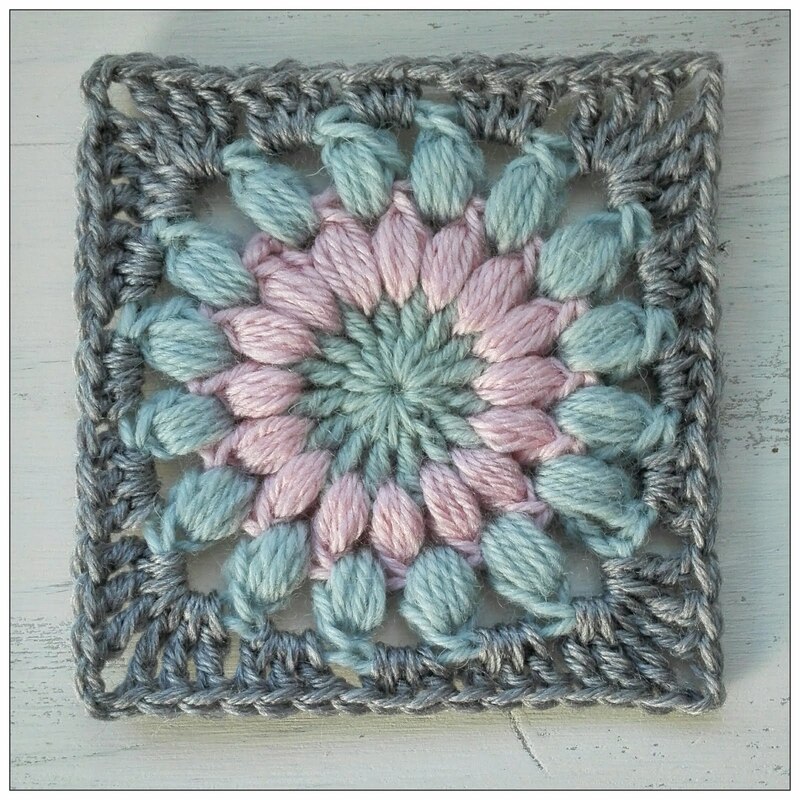 Thanks Nadezda, they are very easy and a lot cheaper than buying premade ones!